Our Kelowna security service provides 24/7 monitoring of your home.We use the latest technology in security systems, video surveillance, stereo and intercom systems, telephone door entry and more. When your home needs protecting, make Three West Security your first choice. 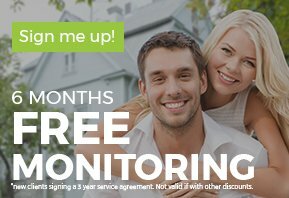 Call today to receive a free security evaluation! Our Kelowna security service provides 24/7 monitoring of your business. We use the latest technology available to protect your commercial property, with both security systems and CCTV systems. Make Three West Security your first choice. Call today to receive a free security evaluation! Excellent service. Miles strives for satisfaction for his clients and delivers quality service. Recommended! I have been working with Miles for over 5 years, and he has always been ahead of the curve on technology, provided professional service, and fair pricing. I would recommend Three West Security for construction companies and homeowners alike. I am a customer at my home and in the homes we build.